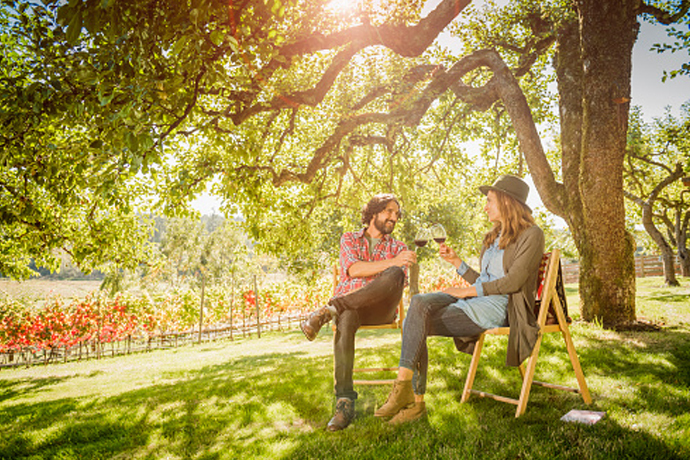 Drinking at work is a time-honored tradition. Whether to celebrate your new Japanese textile acquisition, or to mourn Sally in accounting's sudden departure, there's always a good excuse to tilt a few at the office. 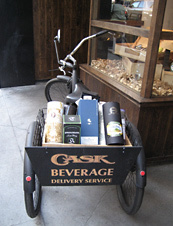 So we're happy to bring you Cask Bike Delivery, the latest service from the Cask/Bourbon & Branch guys, who are literally pedaling their boozy artisan goods straight to your office door (not to mention putting a welcome spin on water-cooler breaks) starting Friday. Let's say you've got a few high rollers in town. Order up the Suntory Yamazaki 18-Year (or, if they're paying, opt for one of a handful of Highland Park 40-Years in the country). You can also stick to martinis, as Cask'll hand-deliver tools like the Rosle Boston shaker, along with Plymouth gin, orange bitters and dry vermouth. At the very least, you can order some beers, like Russian River's Pliny the Elder, to help you get through those last reports. And with Earth Day just around the corner, you'll be glad to know that their tricked-out black delivery Schwinn is zero emissions. Except for booze, of course.